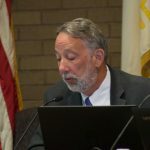 Added by Bill Bowman on November 18, 2018. 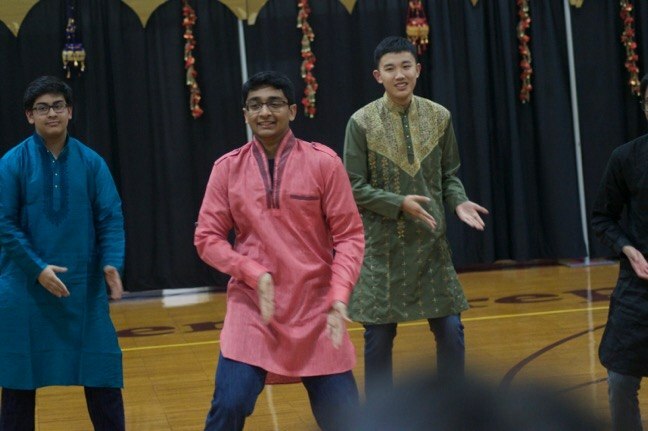 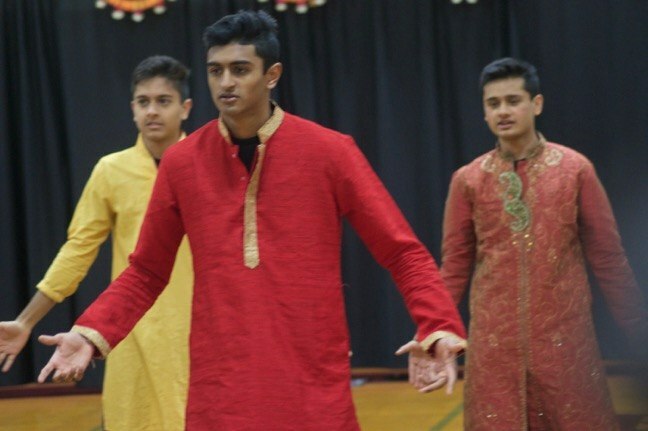 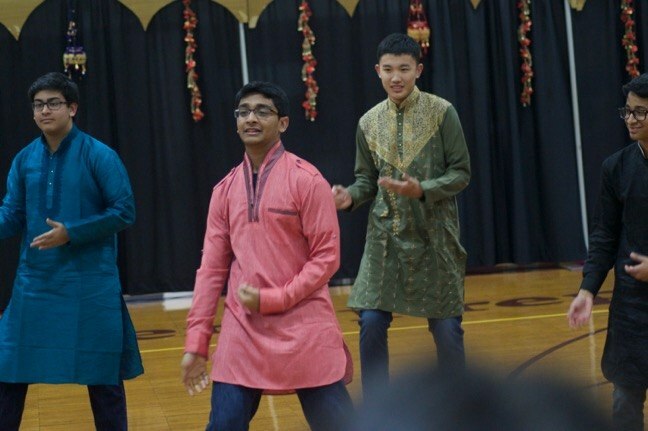 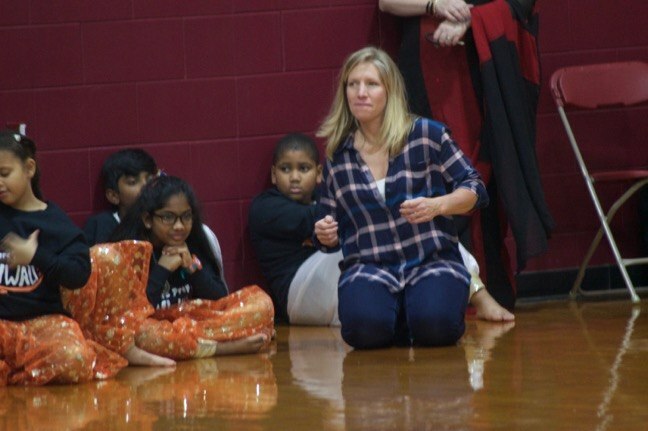 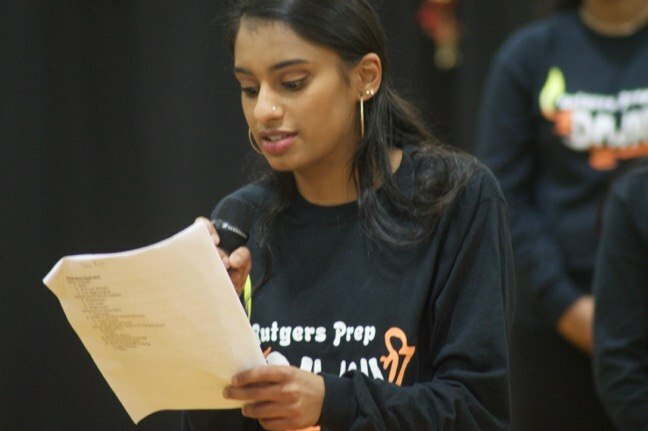 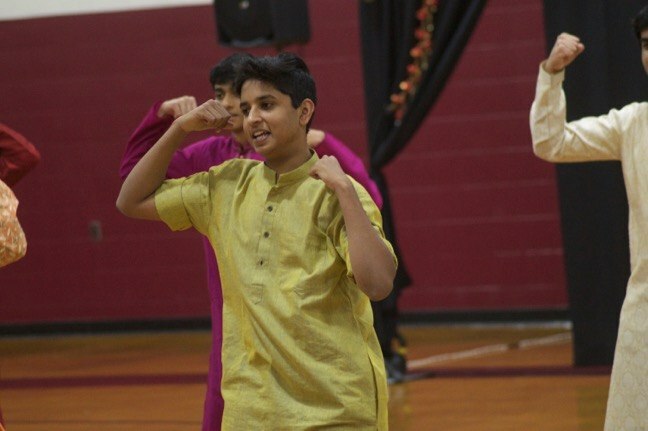 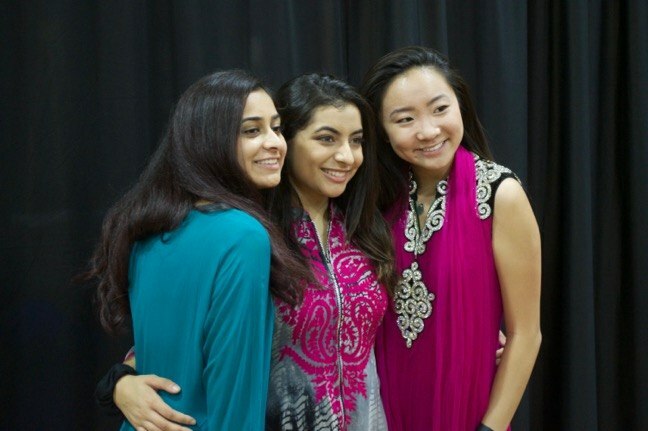 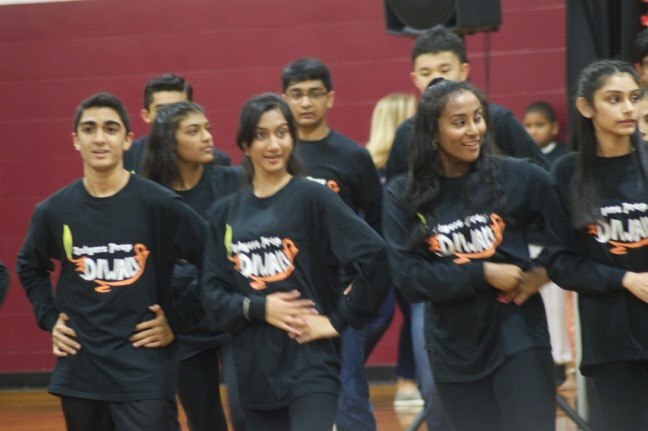 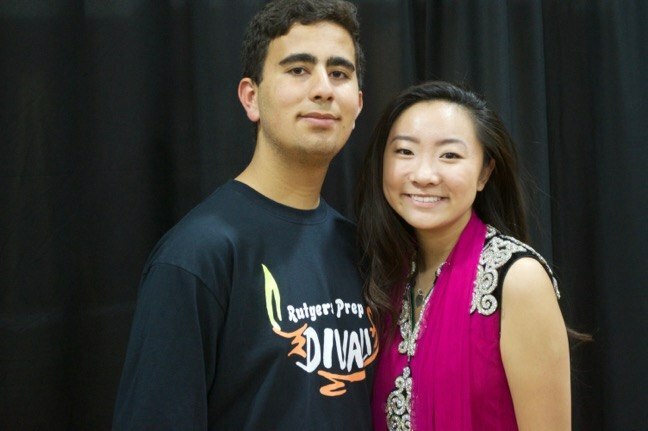 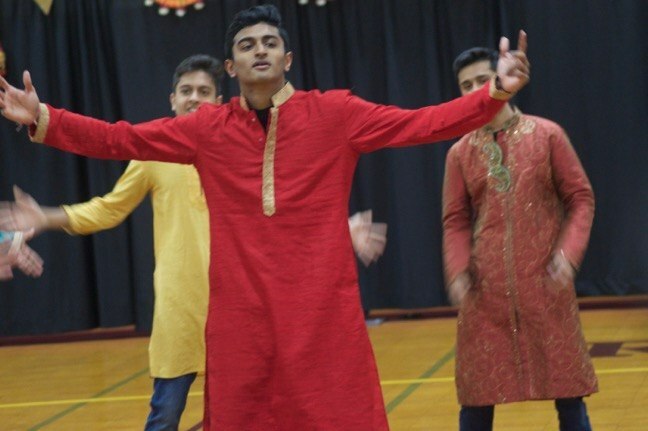 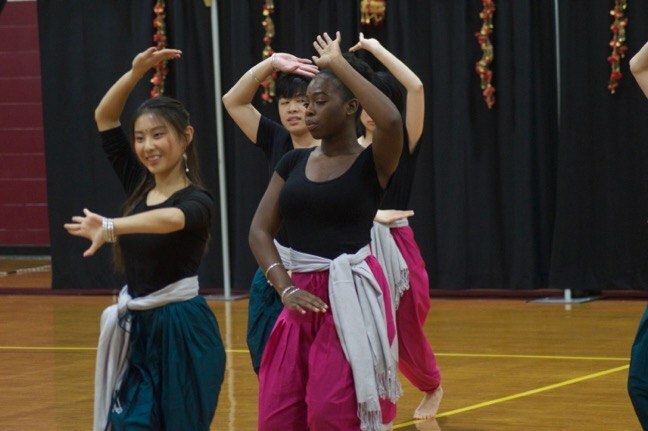 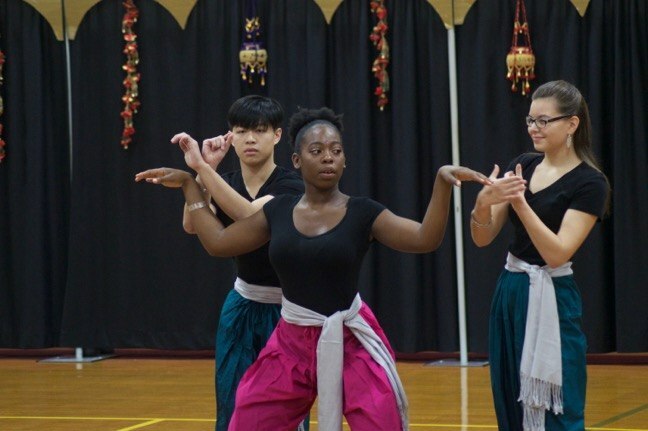 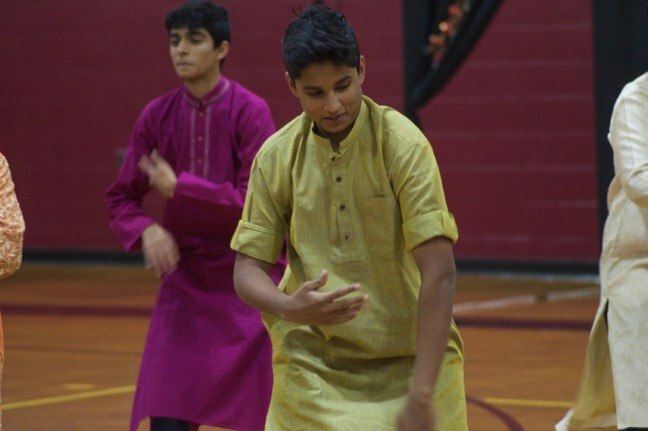 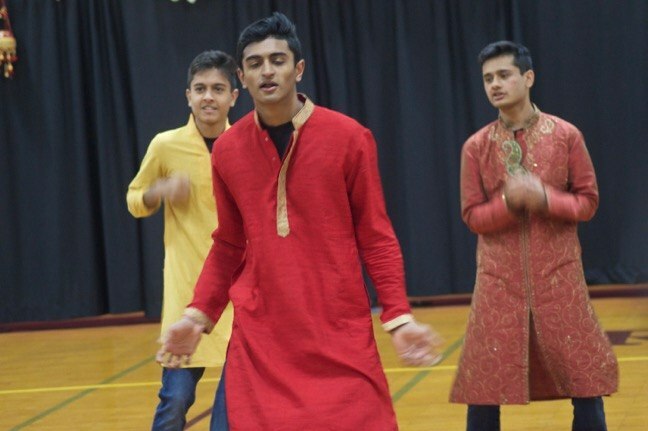 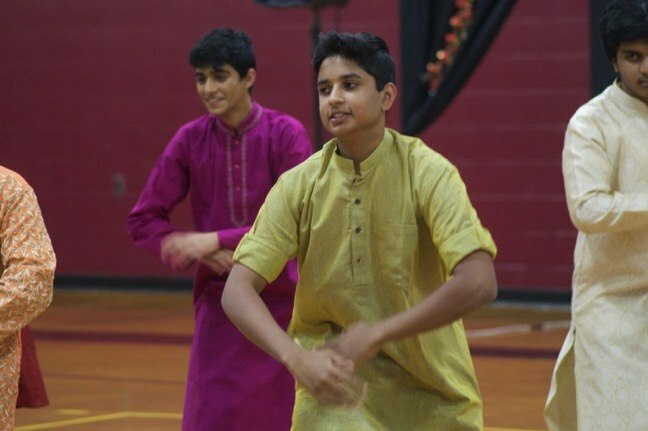 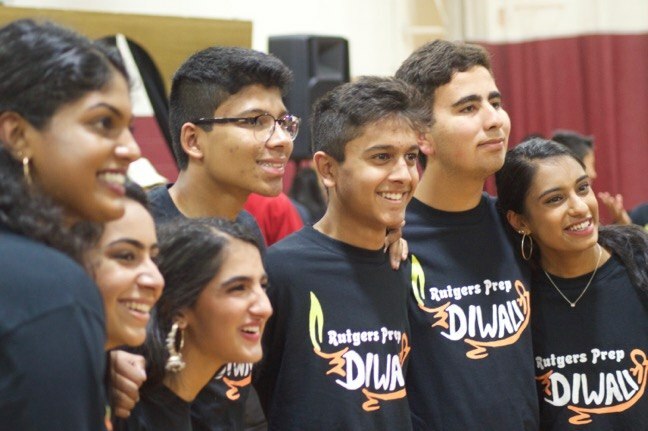 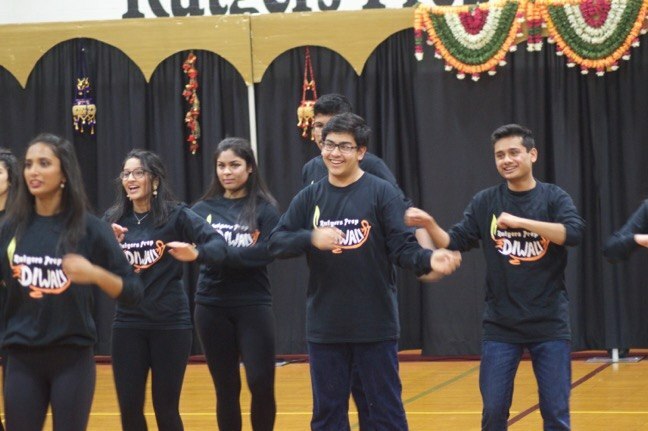 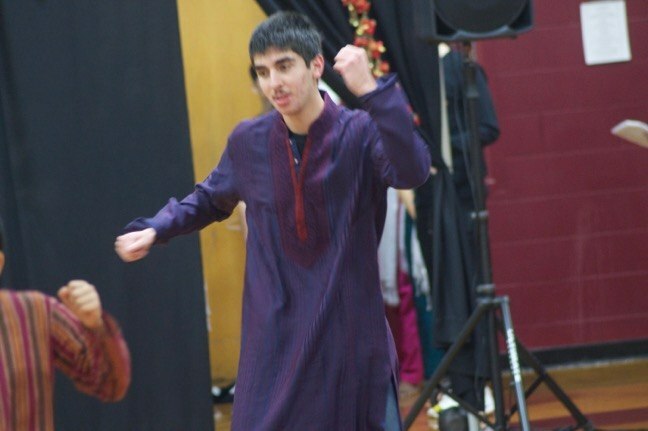 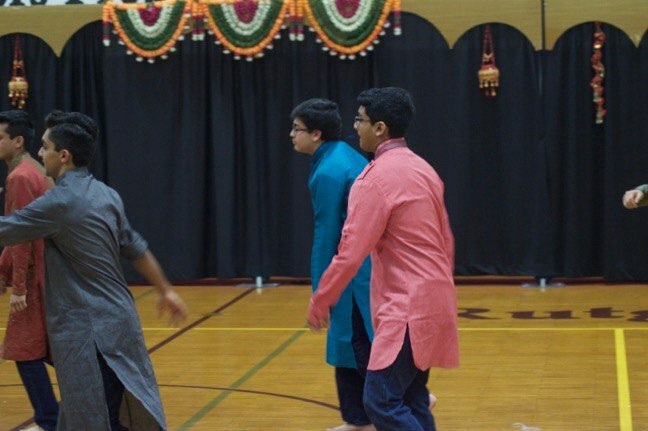 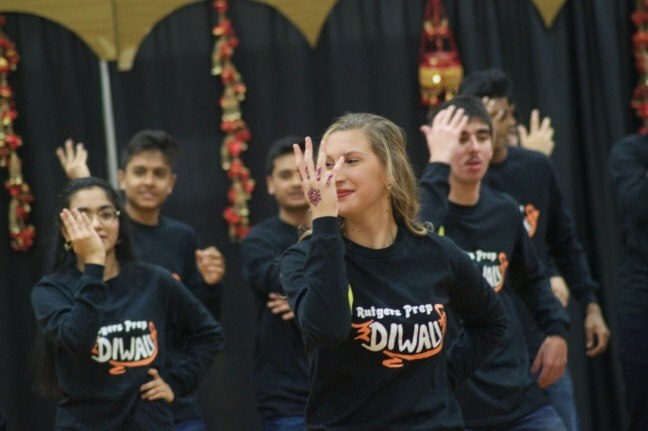 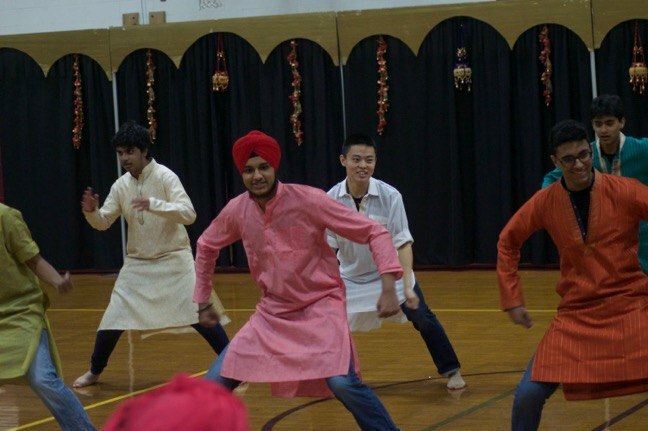 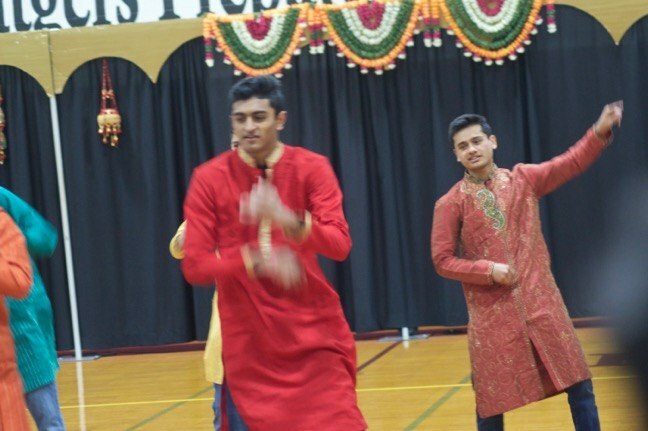 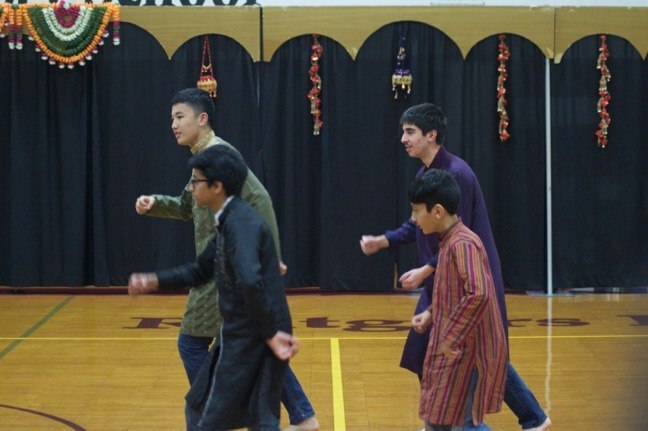 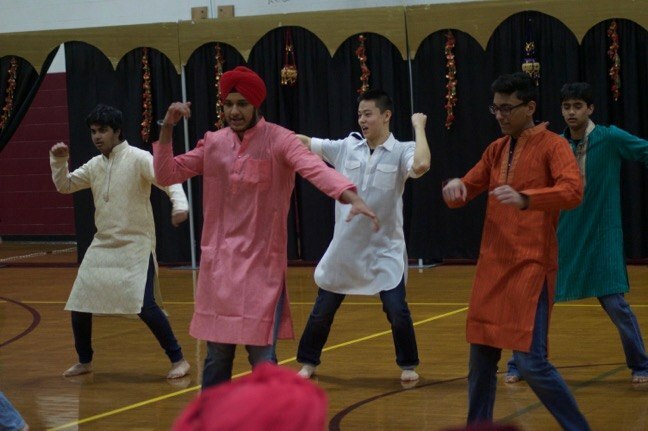 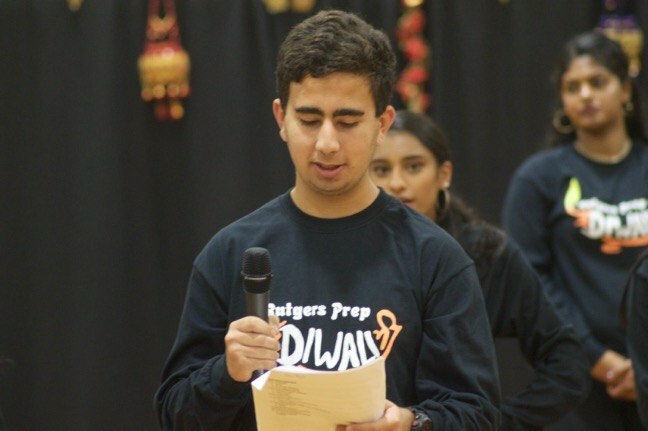 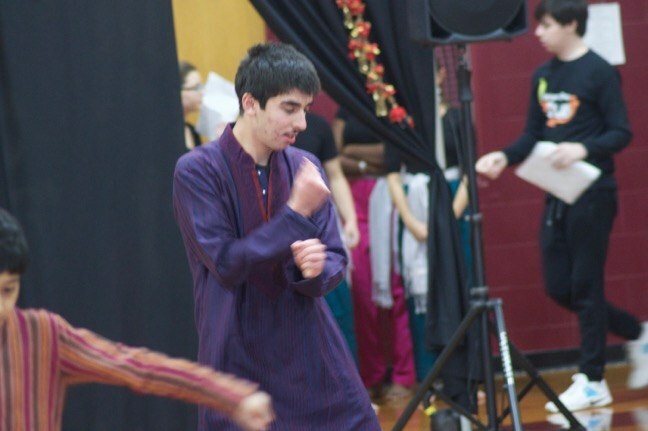 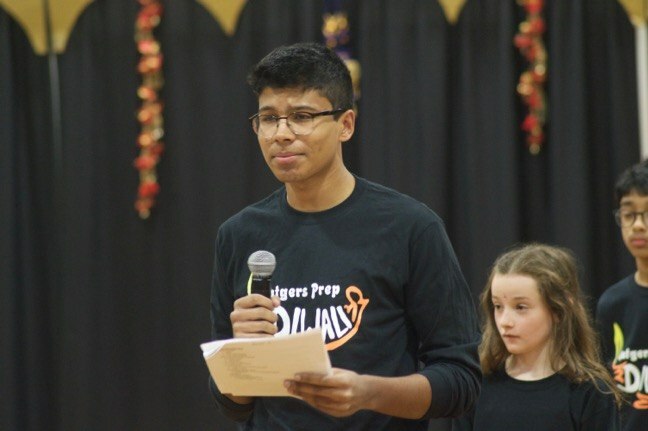 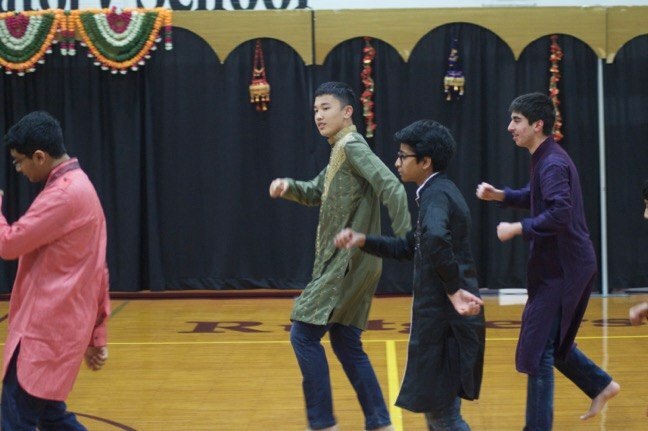 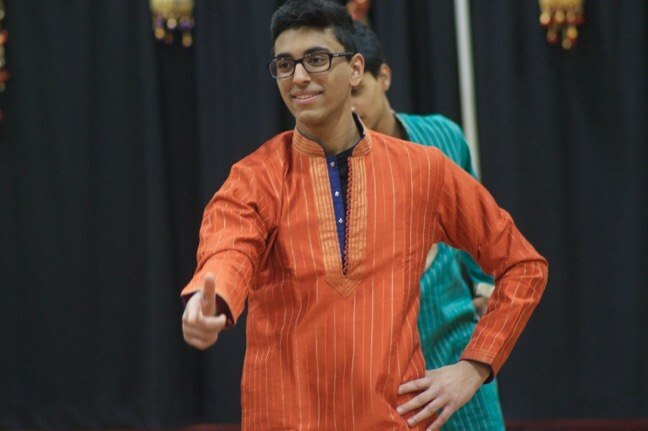 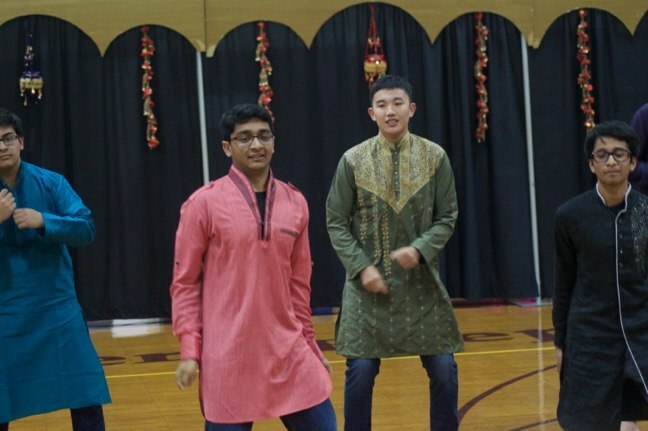 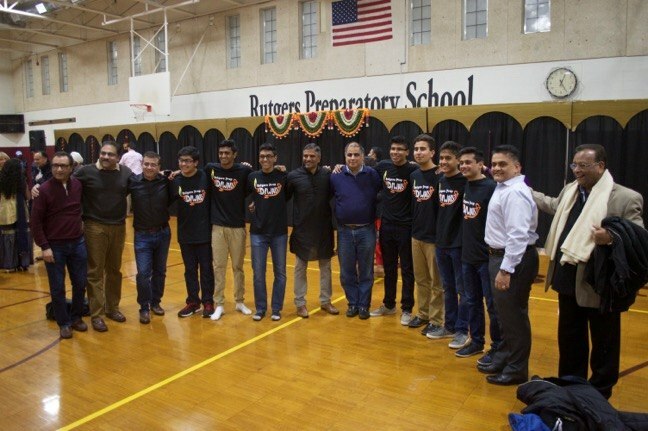 More than 90 students at Rutgers Preparatory School participated in the annual Diwali celebration on Nov. 18. 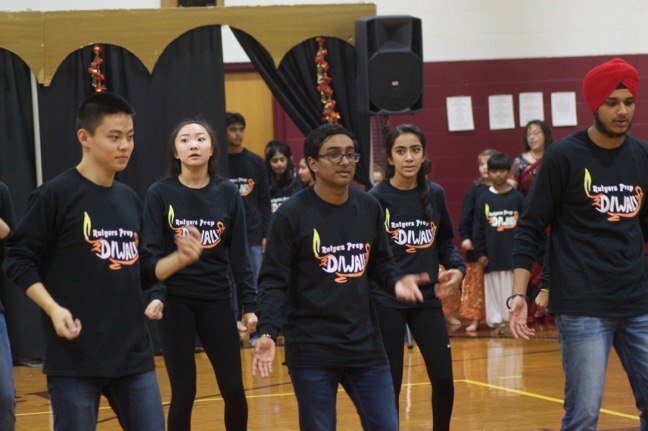 Diwali, also known as the Festival of Lights, is one of the most popular Hindu festivals and is celebrated in the Autumn. 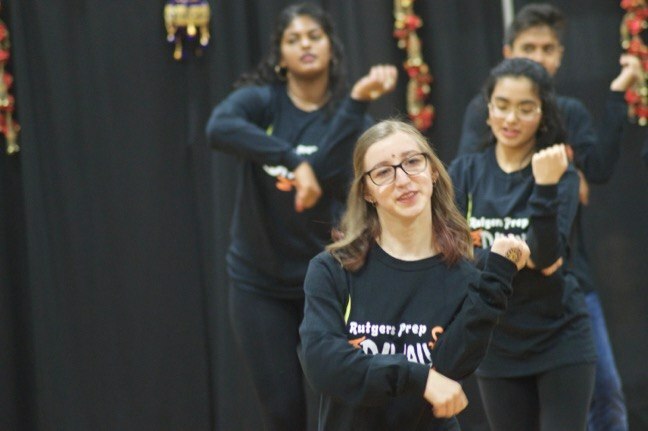 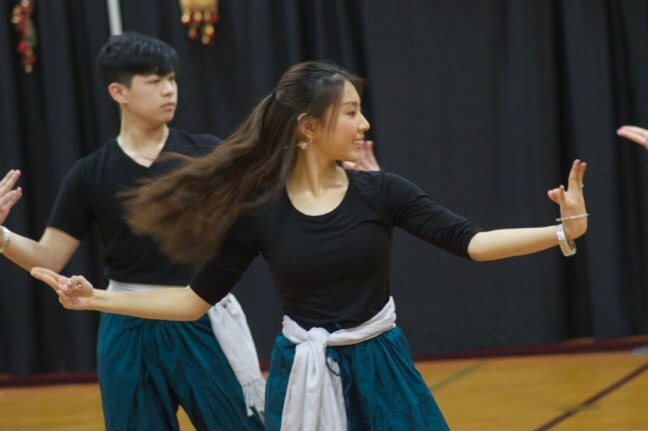 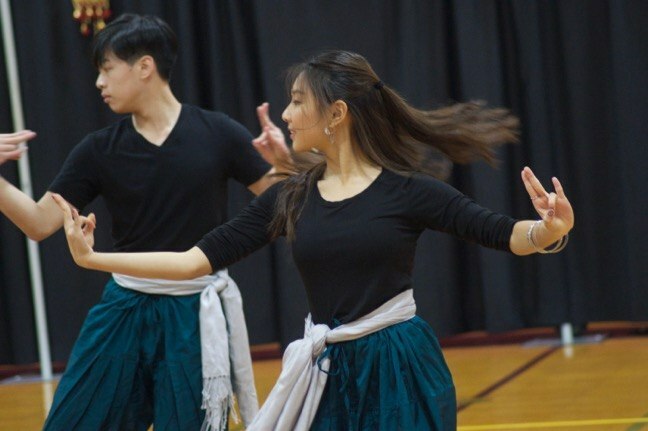 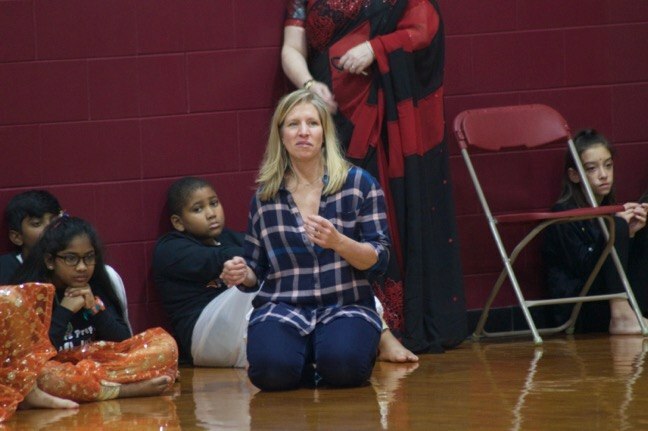 The students, representing all three school levels, created and performed dances and spoken-word presentations, as well as presentations about famous Indians. 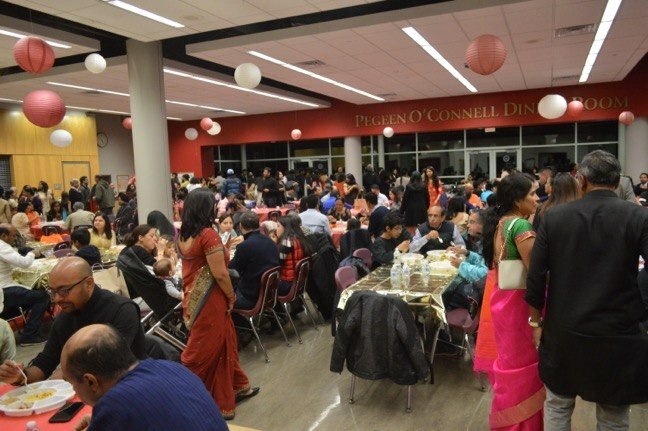 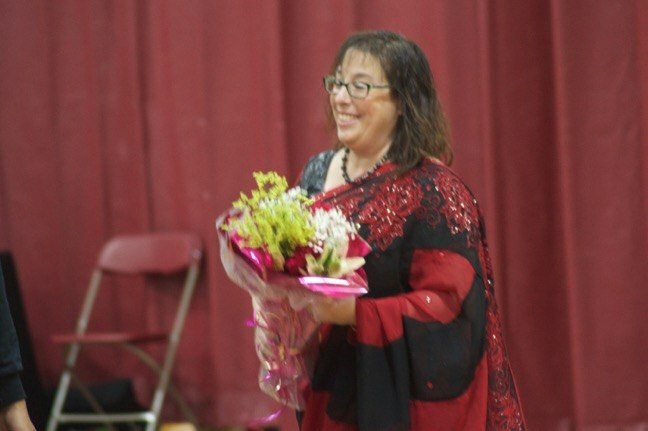 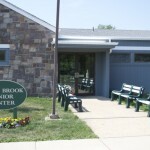 The event was coordinated by Mythili Lahiri, the school’s Dean of International Students, and Kindergarten teacher Amy Merges. 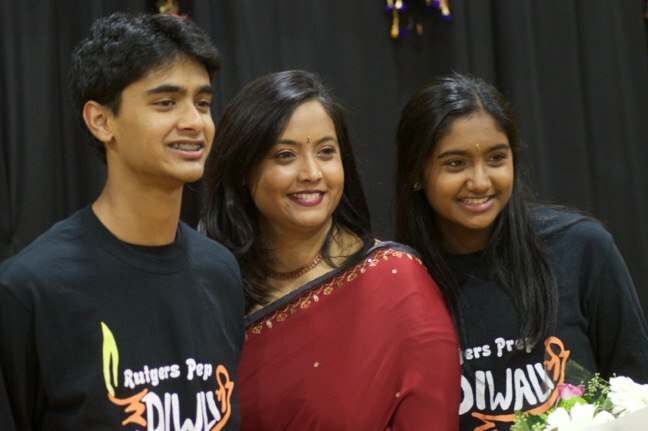 Lahiri said planning for the annual celebration – this was the 11th year – starts early in the school year. 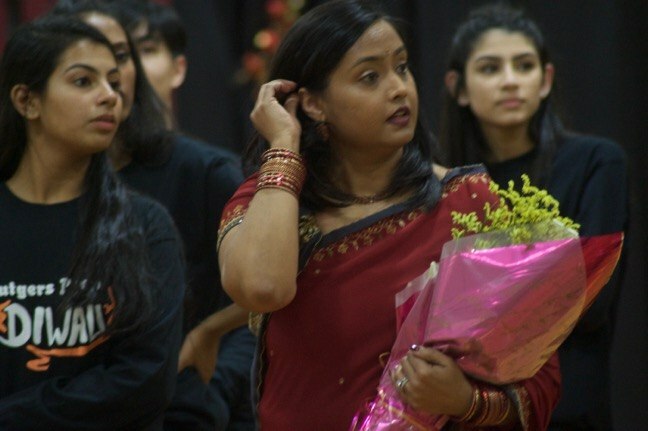 Lahiri said she knows the celebration is meaningful to students because they start asking her about it near the end of a school year, or near the end of summer break. 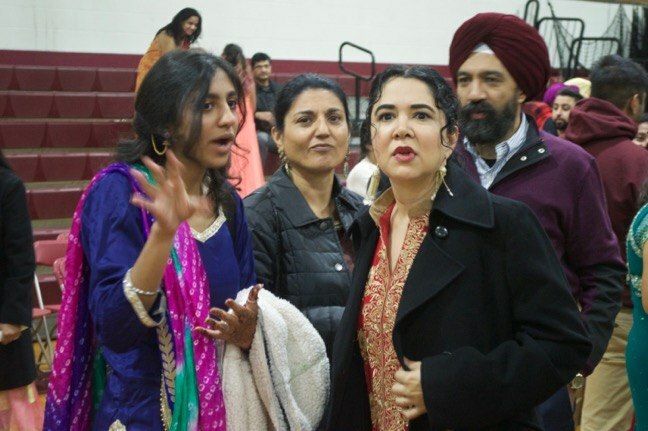 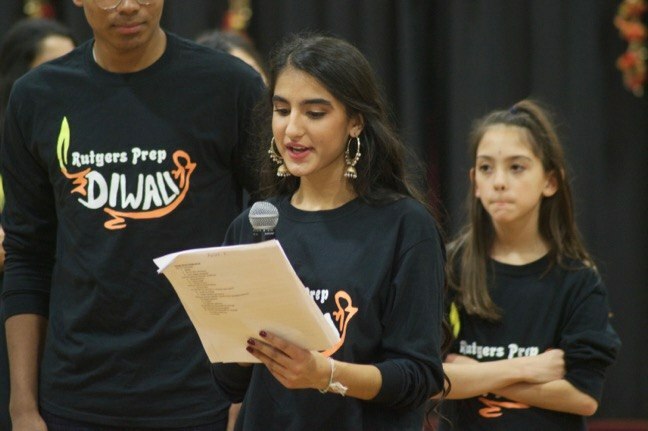 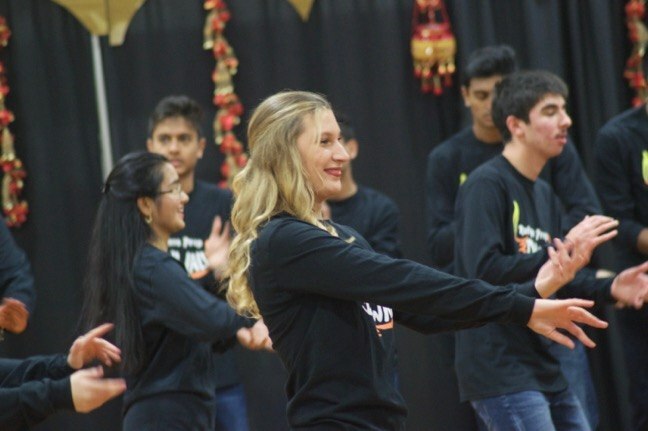 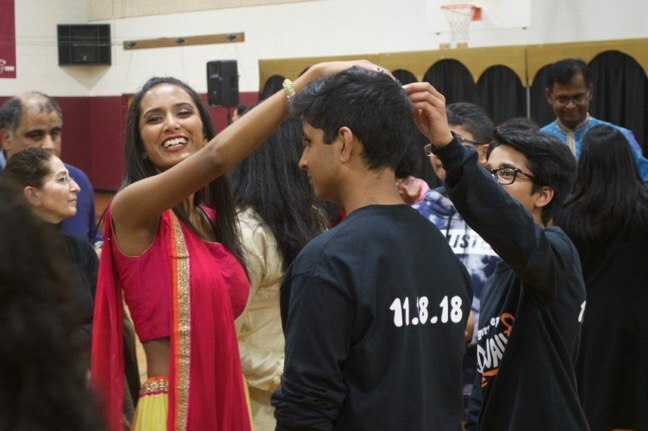 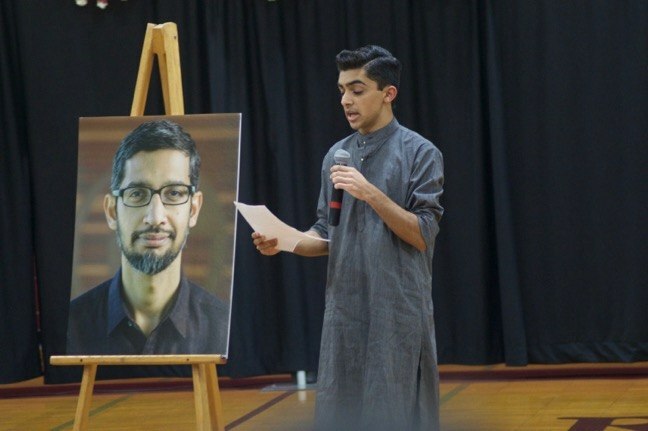 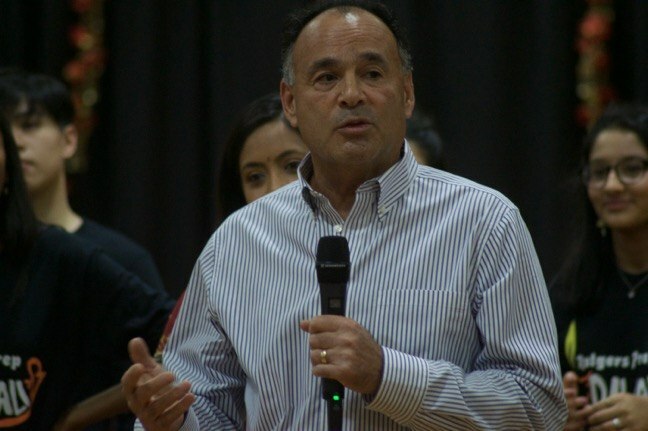 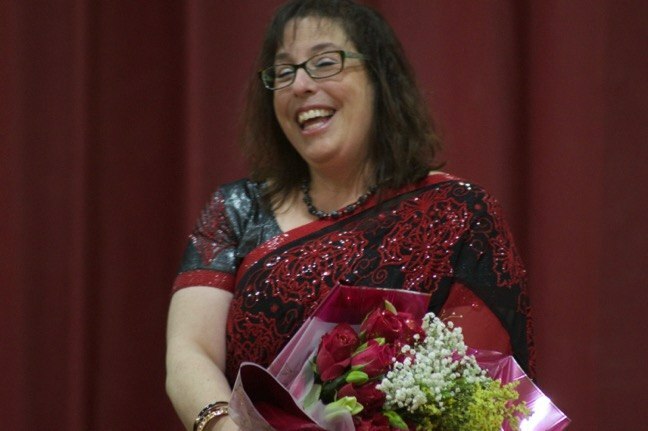 “What’s happened over the course of 11 years is, it’s not just the Indian-American students; their friends not necessarily of that ethnic background are joining them, which has made it a real school-wide celebration, as opposed to a celebration of one community,” she said. 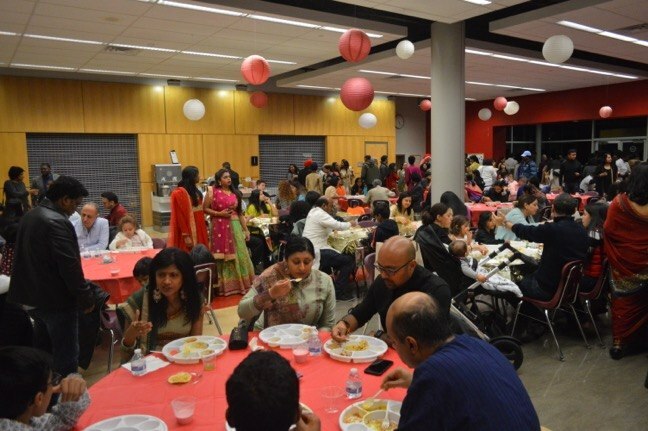 Following the performances, attendees gathered in the dining commons for a Diwali dinner furnished by Bombay Talk of Iselin.